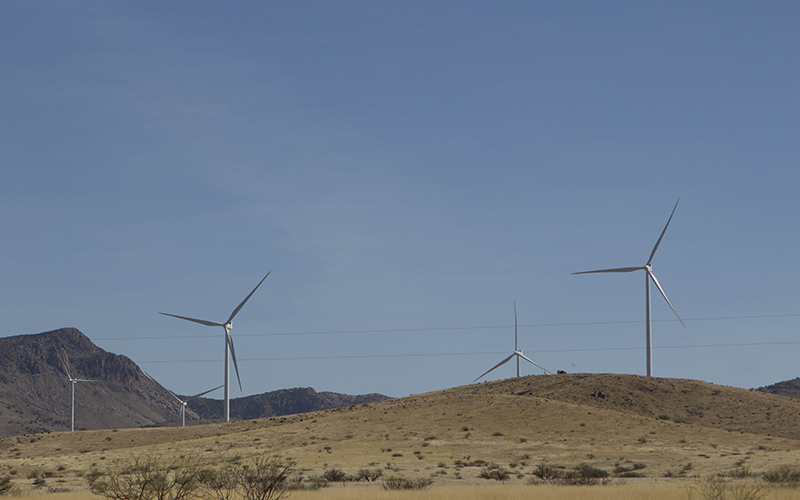 COCHISE COUNTY – In the mountains 20 miles west of Willcox, 15 wind turbines stand 450 feet tall, spinning with the wind. This is the Red Horse II Wind Farm, the only wind farm operating in southern Arizona. The wind farm is being investigated by the U.S. Justice Department’s Environmental and Natural Resources Division in connection with the death of a federally protected golden eagle and a lesser long-nosed bat. The bat was listed as endangered in 1988, and in April of this year, it was removed from the endangered species list. The Justice Department in July turned down a public-records request on the investigation’s status and other information about the case. In an email, it said “all of these documents are protected from disclosure” under the Freedom of Information Act. Red Horse farm, which began operating in 2015, reportedly killed 2,606 bats, including the one lesser long-nosed bat, during its first year of operation, according to SWCA Environmental Consultants, a firm hired to monitor the farm’s environmental impact. Every year, more than 888,000 bats and 573,000 birds are killed at wind farms in the U.S., according to a study from the Wildlife Society Bulletin. 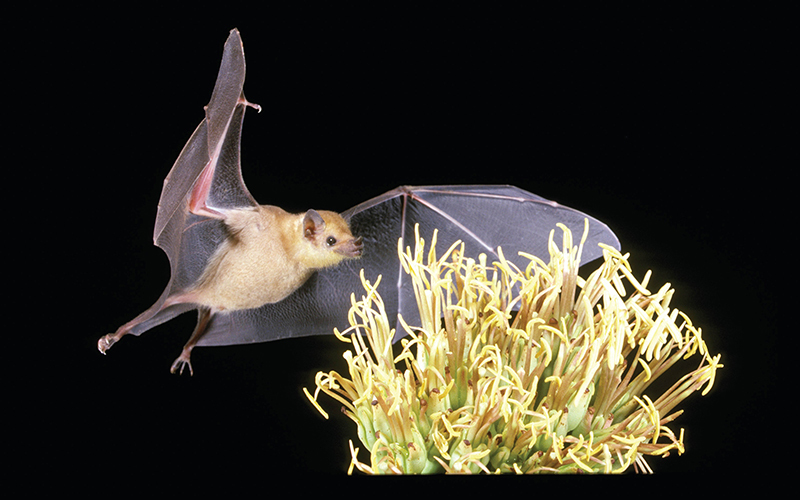 Cris Hein, a biologist with Bat Conservation International who studies the impact wind farms have on the winged mammals, said bats appear intrigued by the turbines, which often leads to a fatal interaction. Wind farms can apply for federal incidental take permits that allow the accidental killing of a certain number of birds and bats each year. Red Horse II officials did not apply for that permit because the “potential risk to birds and bats” was determined to be low when the farm began generating power. The permit would have protected the operation against prosecution for the accidental killing or taking of an endangered species. In 2015, the American Wind Energy Association put forth voluntary guidelines that wind farms could practice to protect birds or bats, which included recommendations that turbine blades spin slower when bats are most active during their fall migration period. Hein, too, has researched ways to reduce bat fatalities at wind-energy sites. Another method is to use “sonic deterrents” that keep them away from the blades. Wind farms in general have opponents who say the sites are not sustainable. Jay Lehr, a scientist from the Heartland Institute, a conservative-libertarian think tank, said some of the negatives to wind farms are that the turbines are costly and hard to fix, so many aren’t in operation. In 2016, wind energy accounted for 8 percent of the electricity supplied in the U.S., according to the U.S. Energy Information Administration. In Arizona, wind energy accounts for 0.56 percent of the electricity, according to WINDExchange. Hein says there are positives to wind energy, which is why he works to find ways to reduce the impact on bats. Red Horse II Wind Farm generates enough energy for about 8,300 homes, according to Fogarty. Tucson Electric Power Co. buys the energy under a 20-year purchasing agreement, according to D.E. Shaw, the operator and one of the wind farm’s investors. Since the investigation opened, the wind farm has applied for an incidental take permit for the endangered golden eagle. 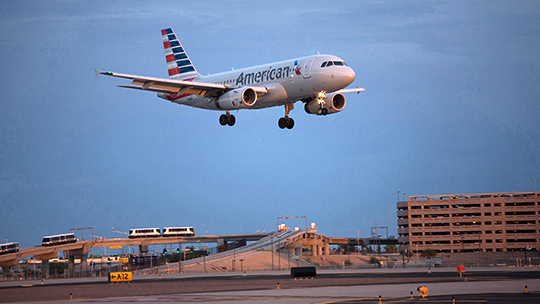 -Cronkite News reporter Tayler Brown contributed to this story.